AMMA Principal Workplace Relations Consultant, Peter Robertson (pictured, right), reviews a recent Full Bench decision which saw the CFMEU successfully appeal the approval of a mine contractor’s enterprise agreement. THE CFMEU has successfully appealed yet another mining sector Enterprise Bargaining Agreement after a Full Bench of the Fair Work Commission found the Commissioner exceeded his jurisdiction by approving the agreement without evidence it was ‘genuinely agreed’. Background – was reasonable notice provided? The CFMEU appealed the original decision made by Commissioner Gregory on 17 January 2017 (Decision) approving the Australian Mining Supplies Pty Ltd Enterprise Agreement 2016 (Agreement). The union’s notice of appeal contained 10 grounds of appeal, however the Full Bench found it necessary to only deal with one – that the employer had failed to comply with the pre-approval steps set out in s.180(3) of the Fair Work Act. (b) the voting method that will be used. The CFMEU claimed the Commissioner could not have been satisfied that the employer had taken all reasonable steps to notify employees and give them seven days’ notice of the time, place and method of voting to approve the agreement. The union also pointed to a statutory declaration which “demonstrated that the advice required by s.180(3) was not provided to employees until five days after the start of the access period, and there was nothing else before the Commissioner to contradict this”. The Full Bench, comprising of Vice President Hatcher, Deputy President Dean and Commissioner Mckenna, considered the employer’s submission of notifying employees at least seven days in advance to approve the Agreement. The three relevant employees were originally advised by telephone hook-up on 11 October 2016 that a vote by show of hands was set for 21 October 2016, but were subsequently unable to attend the scheduled vote on that date. The employees were notified four days later on 25 October 2016 than it had been rescheduled for two days’ time, to 27 October 2016. The employer contended that having changed the voting date because of the unavailability of employees on the original date, it was not required to start a new access period. However the Full Bench disagreed, finding that “notification was only two days in advance” and the employer could not rely on the notice that was given on 11 October 2016 because it did not advise of the time, place or method of the vote. “In this case, there is no evidence that (the employer) took any steps at all to notify the relevant employees of the time, place and method of the vote which actually occurred prior to the commencement of the access period,” the Full Bench found. “It was not submitted by (the employer) that what was reasonable in this case was for it to take no steps whatsoever, and there was nothing in the evidence before the Commissioner, or before us, which suggested that there was no reasonable step which (the employer) could have taken to provide the requisite notification to employees by the start of the access period. In granting the appeal and quashing the approval, the Full Bench conceded “the CFMEU had standing to bring this appeal” and had identified the “appealable error” involved the “Commissioner exceeding his jurisdiction”. This Full Bench matter follows other recent similar cases of successful union appeals of newly-approved agreements. 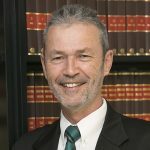 Such cases form timely reminders that unions, and in particular the CFMEU, will challenge agreement approvals where it believes the relevant steps in the agreement making process haven’t been followed or the agreement-making process has contravened the FW Act and/or terms differ from commonplace union agreements in the respective sector. This creates a risk for employers in agreement making that must be mitigated. It is vitally important for employers in the agreement making or renewal process to ensure they follow the pre-approval steps in the FW Act to the letter. While in this case, the agreement was found to have not complied with the pre-approval process, AMMA’s concern is that agreements that seemingly do comply with the intent of the FW Act are being successfully challenged by unions based on minor technicalities. From a policy perspective, AMMA’s position is there should be greater restrictions on third parties who are not party to an agreement, such as the CFMEU in this case, to intervene in the agreement making process. To learn more about AMMA’s workplace relations reform campaign, visit our campaign page. For advice and assistance in the agreement making process, including ensuring all steps are met to provide an agreement is ‘genuinely agreed’, contact [email protected] or call 1800 327 771.